I ride a 2017 MTS 1200 touring and was recently pushed into a guard rail. Bike took no damage but I took some. My riding style is sport touring, no off road but both short 1 day trips and long 5 day trips mostly in canyon style roads. I ride a bit aggressive - not track or insane but really like the big lean angels. I had a choice to have a car hit me or to side swipe a guard rail on my right side. I chose the 2nd. The hard part of this is gear review for true protection. My pants were shredded and my thigh would have been as well if it was not for the armor in the shorts. My right foot took a hit so I am am looking for the most protection in a boot as possible and the D1 is the only boot I can find with CE 2 rating. All of the gear listed here looks to be CE level 2 but was looking for some opinions on this. It is weird I am wearing sport bike/track gear on a MTS? I can’t find any gear that is more protective then track style gear. 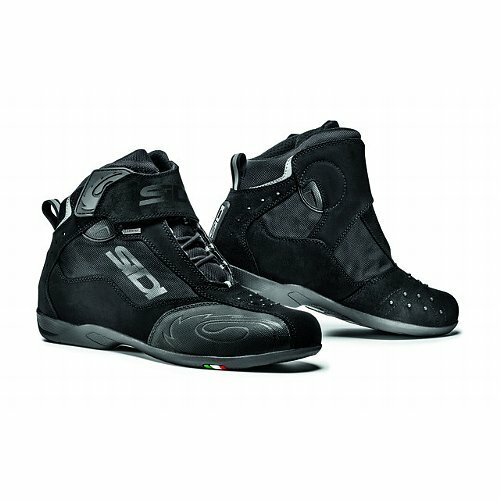 Anyone have issues with the Dainese boots I listed wearing them for long rides? I don’t plan on walking a lot but they will be on my feet for 8-10 hours a day. 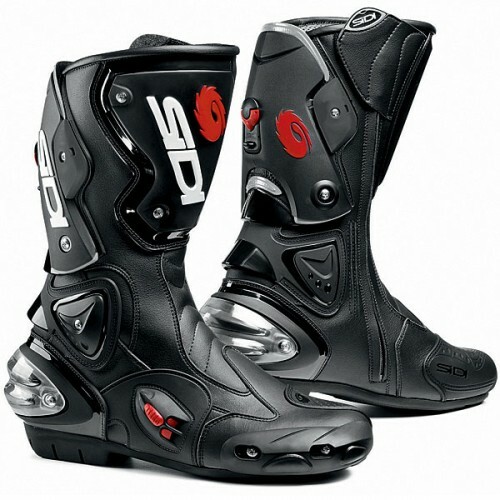 Anyone have issues with the Dainese boots I listed wearing them for long rides? I don’t plan on walking a lot but they will be on my feet for 8-10 hours a day. Hope you're on the mend and congrats for wearing gear as it could have been a lot worse. I have two pair of footwear: Sidi track boots and Sidi riding bootlets. I've used the track boots many times for day trips but now that I will have a Multi, I'm looking for something in the middle of those two. Notwithstanding, I have no problem wearing track boots with the Multi for day trip. Any ride longer however, may prove to be inconvenient. Temperature permitting, nothing is more comfortable than a full perf race suit, which can be cheaper than a two piece. It's the only gear I own where the knees don't ride up. I wear mostly Dainese and the custom suit was worth the wait. I like rib protection - thank you! Can you wear this under the suit or armor jacket in addition to the built in back protection of the suit or jacket? If so will definitely add to my protection. A riding friend that was big into racing and now owns a Beemer GS, put it this way. Leather is worn at the track since we are going faster and we slide farther when we fall. Textiles can't take that. But on the road, the slide is shorter, but the stop can be more severe (hit something). Textiles are OK on the street and good padding is even more important. He inferred that we save weight on the gear with the textiles and can then afford the weight of enhanced padding. It appears that your encounter with the guardrail is something not really expected, but it appears that the gear did what its supposed to. I'm not really sure that leather is the direction we want to go in for street riding. You are probably right. My boots and under armor kept me from much worse but the Gore-Tex shredded in less than a second. My motto is AGATT and that ride was just a 30 min cruse around my area. I have a complete set of Klim Badlands pants and jacket but honestly don’t feel very safe in them. They don’t feel tight and even though I was sized it feels like the armor can move but with the leather the armor won’t move. I guess I can remove all of the armor and buy after market armor that attaches to your body and just use klim over that. The weight on that gear feels about the same, maybe a pound lighter than the leather. Not sure now if it’s all psychological after this incident but I feel much safer in a 2.0 leather with CE2 armor. 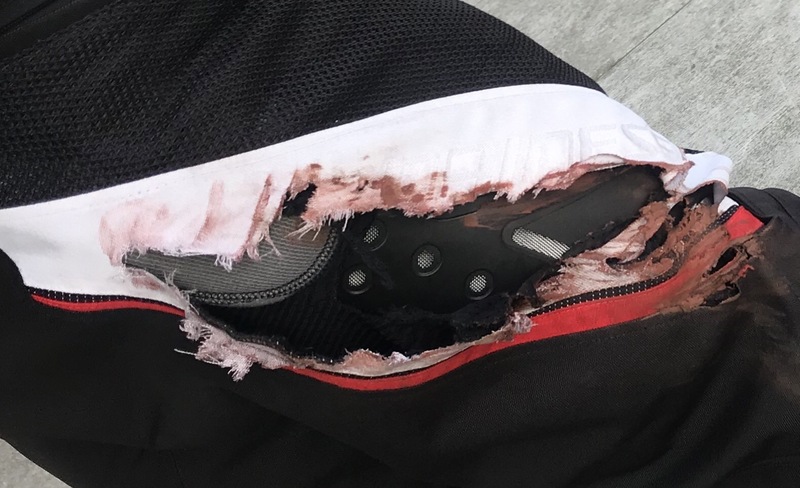 I've had the older version of these Dainese boots since 2012 (the "in" version) and have crashed in them twice at the track (lowsides both times), both with no injuries and 60+ mph. I've only recently switched to A* Supertech Rs because the stitching started coming undone on the engine-side of my left boot and they aren't comfortable for long rides (8+ hours). The a* Supertech Rs don't fit inside my pants--a downside if you're trying to blend in off the bike--but they are far more comfortable and flow more air than the Dainese boot. Both the a* and Dainese boot have excellent ankle protection, both from impact and twisting. If you want to stick with the Dainese Axials, get some cushion-y insoles for those long rides you're doing. Can you wear this under the suit or armor jacket in addition to the built in back protection of the suit or jacket? Are you talking about back inserts? I would not use them for several reasons. They shift and do not offer hyper-flexion protection. A lumbar brace offers more protection against injury than a jack insert. According to an Australian study back inserts increase injury risk. I have not seen a study showing back protectors preventing fractures, so do your best to reduce torsion. Personally, I wear a lumbar brace and the rib protector over it, but reversed so it covers the spine and wraps forward across the ribs. This is my favorite non-track combo, and it is slimmer than a Dainese full back protector, so it can fit inside a proper jacket. You need a tight jacket to hold everything in place. And wear bright colors! Do not dress like Darth Vader, which increases accident risk by 30%. Last edited by gamingthemarket; Apr 6th, 2019 at 2:58 am. Thanks everyone for the responses. I decided on going with 2 sets of gear. I pulled the trigger on the Tuono D Air bag jacket, Misano pref leather pants and Dainese Axial D1 boots and rib protection . Had Dainese fit me for everything and verifying the rib armor will not interfere with the airbag jacket . I wore them in the store (Pants and boots for a little over an Hour). Boots are super comfortable with no pressure points. Boots feel like armor, flex at toe is great for shifting and breaking while the system had no lateral or medial movement for ankles with full armor from toe slider to heal in carbon fiber. Felt like they could take a lot of impact with transmitting the energy if I take a hit to the boot armor and not my feet. Will also re-armor my Klim badlands pants and jacket with better fitted armor and a second set of adventure touring boots for the times I will go off road (not often). Thanks again and safe riding to all!